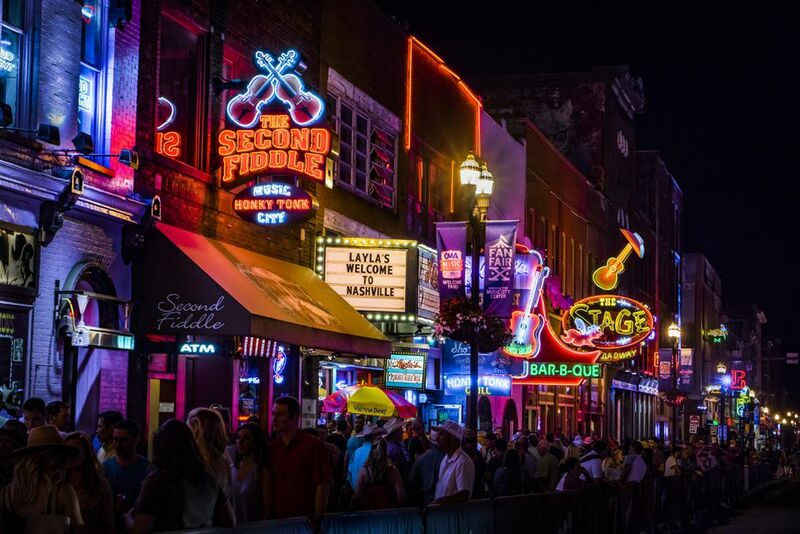 Nashville in September is buzzing with plenty of locals and visitors to enjoy, including food festivals, music concerts and family-friendly events across the region. The Annual African American Street festival is generally held the 3rd week of September at Hadley Park. Sponsored by the African American Cultural Alliance (AACA), this phenomenal festival has grown now attracts more than 100,000 people interested in African and African American culture. Every summer beginning in September and running into October, the Nashville Public Library hosts a series of free Courtyard Concerts. These concerts usually take place once a week during lunch hours at the Nashville Public Library. The Cumberland River Compact and Tennessee Scenic Rivers Association host their Annual Dragon Boat & River Festival at Riverfront Park, in Downtown Nashville. Grab your paddles to raise awareness of these great organizations and promote the health of the Cumberland River. The Fairview Nature Fest is held the second week of September in Bowie Nature Park, hosted by the Fairview Area Chamber of Commerce. The Nature Fest offers live entertainment, arts, crafts, nature-related exhibits, park hayrides, children's activities, great food, and a living history village. On the first Friday of every month in and around downtown Franklin, you can tour the downtown Franklin art scene with their Franklin Tour of the Arts. Some of Middle Tennessee's finest bluegrass musicians perform under the light of a full moon. True to bluegrass tradition they will also have numerous jam sessions taking place at any given time in addition to performances on the main stage. Full Moon Pickin' Parties run annually from May through October. Be part of the Nashville's largest day of volunteerism. Join Hands on Nashville, celebrated the last week of September, and you’ll work in Metro Nashville Public Schools to paint classrooms and playground equipment; plant flowers and shrubs; and make a major difference in the lives of thousands of students. The Annual International Black Film Festival of Nashville (IBFFN) is a culturally diverse, community inclusive, family-friendly celebration of independent film that offers education and entertainment to all and is normally held in the third week of September. Jammin in the Alley is a free concert series that takes place in Historic Downtown Clarkesville's Strawberry Alley every third Friday from May to October. Music begins at 7 p.m. and it's free to the public. Live on the Green is an environmentally friendly concert series that takes place every Thursday night (for 6 weeks) on the Public Square Plaza. Admission is free and the concert usually kicks off at 6 p.m.
Every third Friday of the month, the Nashville Farmers Market holds the special Night Market event. The night market is open evenings from 5-8pm on the third Friday evenings of each month from June through October. The event includes lots of opportunities to experience many of the flavors of Tennessee and have great fun for the whole family. Held at the ​Tennessee State Fairgrounds, the Nashville Flea Market is known as one of the best Flea Markets in Tennessee and offers a relaxing day of wandering and discovery for the entire family. Nashville Flea Market is open on the fourth weekend of every month except for December when it's usually held a week earlier. The Annual Nashville Greek Festival highlights the cuisine, music, and culture of Greece and is typically held the weekend following Labor Day at the Holy Trinity Greek Orthodox Church. This annual event is held in Mt. Juliet at the Mt. Juliet Horse Arena on the fourth weekend of September. The Pow Wow features an array of Native Americans from across the country, dancing, storytelling. There is plenty to see and do with food, arts and crafts booths on-site. Old Timers Day Bluegrass Festival is a day of bluegrass music for the whole family. Held at the Pickett State Parks Recreation Lodge, local and regional musicians perform traditional music of the Cumberland Plateau and Appalachia. This event is usually held the first week of September. Riverfest is usually held the weekend after Labor Day at RiverWalk & McGregor Park in Clarksville. It features ethnic art, entertainment, educational exhibits, youth arts and crafts, ethnic foods and local artists on four stages. This is a three-day celebration of the true artists within the community and the entire state of Tennessee. Once a month, Nashville Shakespeare Festival gathers to read one of the works of William Shakespeare. Typically the readings are held at the Nashville Public Library on the first Saturday of the month and readings at the Brentwood Library are generally held on the third Saturday. Tennessee State Fair has been entertaining local folks for decades.The event is held at the Nashville Fairgrounds in the first half of September. Wine on the River, normally held the latter part of September, was the First Public Event on the renovated Shelby Street Pedestrian Bridge. It's now held at Riverfront Park and there are always hundreds of wines available for tasting, along with live music and several area restaurants are on-site for food purchases.